Rural mental health is a topic that needs to be discussed, frequently. The issue is often pushed into the spotlight after a life is tragically lost to suicide or an extreme weather event strangles parts of the country. However, we believe that it is a topic that needs to be brought up in the nation’s conversation more often. We are getting better and better at discussing and being more open about mental health and depression. Yet, a stigma is still present for many who are suffering. For people living in remote communities, or on remote properties in Rural Australia, there can be a greater strain in accessing support. 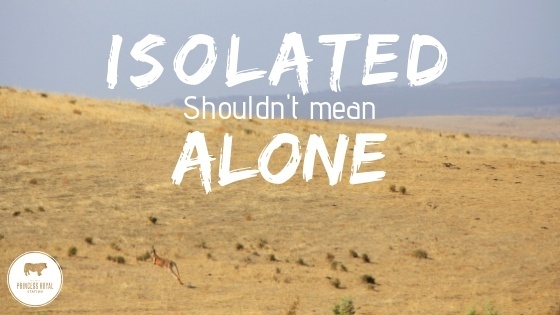 Remoteness and isolation should not mean that you are alone completely when you are having a bit of trouble. For people living in remote areas of Australia, access to services can be more challenging making it difficult to keep on top of concerns about personal health. Not only that, some are a long way from their friends and families, which can further their sense of isolation. The long distance to services may make seeking help difficult and expensive. A quick catch-up over a coffee may be near impossible and the demanding nature of rural life can make some feel like there is no time for a break. Often it is difficult to even realise when you need a break. It is important to understand that many go through tough times and that help is available whenever you need it. For rural Australians, a range of services are available that can make a difference. Pick up the phone and talk to somebody, this can be a friend, family member, counsellor, doctor or support service. It can be easy to lose touch and fall out of contact. But make an effort where you can to contact someone you know that may be going through a tough time.